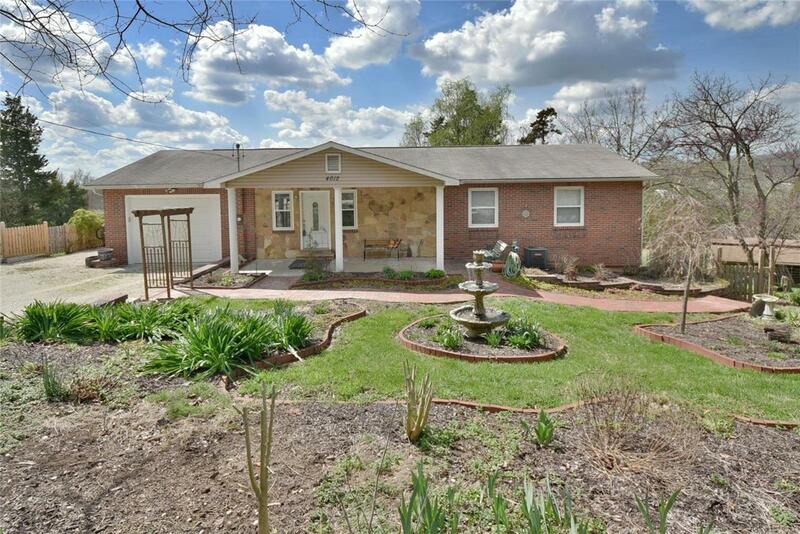 *Multiple Offers requesting Highest & Best by 9pm tonight**Resting upon a 3+ acre lot backing to woods, 3 bed/2.5 bath brick-front ranch is just what you've been dreaming of! Extensive landscaping w/ a water feature leading to the large covered front porch. The entire main living space flows together creating an open & inviting floor plan. There is an extra-large living room & a bright eat-in kitchen w/ ample custom cabinetry, decorative tile back splash, stainless appliances & breakfast rm featuring updated sliding glass walk-out w/ hidden blinds accessing the 24x8 covered deck w/ an incredible view. Retire in comfort to the generously sized master suite w/ a full bathroom. The finished walk-out LL is a nice addition to your living space offering a family room w/ freestanding stove, sitting area, den, bonus rm, half bath & large workshop area. The property includes a pole barn,3 utility sheds and a small creek running through. Recent updates include HVAC-'17 & insulated garage door.